Contact Us At Adrenaline - Get All Your Questions Answered! Making contact in the technological era is no mean feat with many companies. This is where Adrenaline stands apart from the competition. 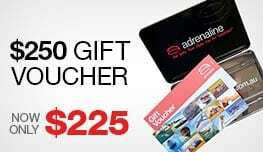 Adrenaline is a leading online gift retailer with more than 12 years' experience in offering 2500-plus land, air and water-based activities and events throughout Australia. Please complete the form below so that we can assist you with your enquiry. 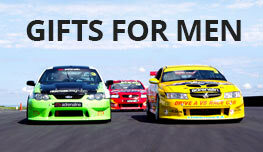 Yes I want to receive the Adrenaline e-newsletter containing the latest news on deals, competitions and special offers. What is the most popular experience on Adrenaline? It's tough to choose just one from the range of exhilarating experiences. But if the sky is truly the limit in terms of scenic splendour combined with unparalleled thrills, there is no greater high than a tandem skydiving experience. Adrenaline offers a range of tandem skydiving packages over the beach at Australia's dreamiest destinations. Who can I contact about experiences for all ages? If you have any questions relative to age-related suitability and restrictions for any of the experiences offered at Adrenaline, find out more by reading the "Important questions" section listed on every experience and event offered at Adrenaline. Who can I contact about the best skydiving experience? Adrenaline offers the best tandem skydiving and indoor skydiving activities at Australia's most spectacular locations or state-of-the-art indoor centres. You can find all the information required about skydiving online at Adrenaline, or opt to chat with one of the helpful, expert staff. Who do I contact if I need to cancel or change my booking? Once you have secured your adventure or event booking online at Adrenaline, you will be in the safe and expert hands of the premium experience provider who will operate your adrenaline-charged or more leisure-based activity. Who do I contact for any questions that I might have? Adrenaline has the answers to every question you might have pertaining to the 2500-plus experiences on offer. The convenient online chat function allows you to connect quickly and easily with a knowledgeable staff member. For urgent enquiries relating to an existing booking, please call the experience provider directly on the phone number listed within your booking confirmation. For enquiries relating to an urgent unconfirmed booking request, please SMS 0417 872 791 quoting your Adrenaline Booking Reference Number.